Dr. Douglas A. Rust is a Portland native, and he went to Portland State University to get his undergraduate degree in 1973. He also graduated from Oregon Health and Science University Dental School in 1980. Dr. Rust is in his fourth decade of caring for patients in the Beaverton and Southwest Portland area. He always continues his education as a dentist, and to stays up-to-date on the latest in oral health. In his youth, Dr. Rust wanted to be a dentist because he loved helping people, and he wanted to make a career out of it. At OHSU, he was privileged to work with exceptional teachers and mentors who stressed the importance of careful service, and also excellence in dentistry. As a general dentist, Dr. Rust practices a wide variety of dental procedures and techniques that lets him serve a huge range of patient needs. 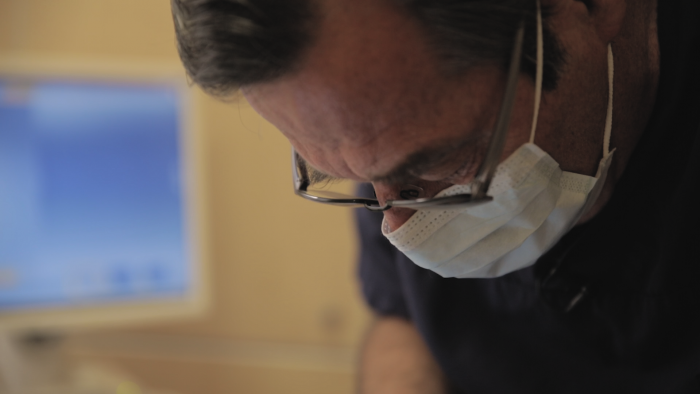 He offers a number of services, both the typical and the specialized: fillings, crowns, root canals, bridges, surgical extractions, etc., but Dr. Rust tries to escape old, aged methods as much as possible. Especially, he tries to stay abreast of modern advances and training that allows him to always provide great service across the range of patient needs he’s presented with. Early in his career, he became certified in straight-wire orthodontics and also has kept up with the latest advances in Invisalign and ClearCorrect technology. Embracing new technology, he moved away from straight-wire treatments and has done well over 300 cases of Invisalign. 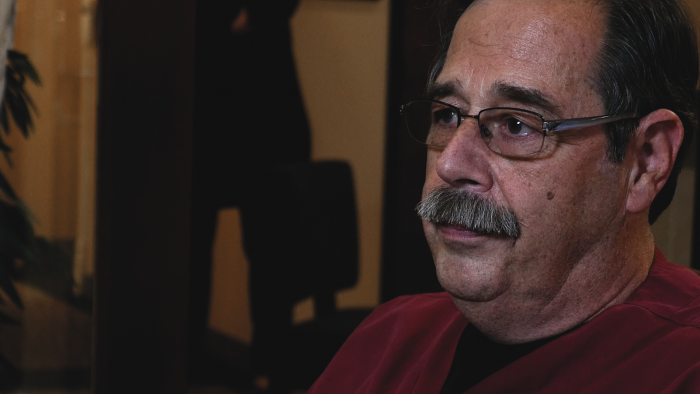 Dr. Rust’s favorite thing about his job is that he gets to help people take care of themselves. If someone comes in with a chipped tooth, he repairs it. If someone comes in with a toothache, he gets to take care of it. 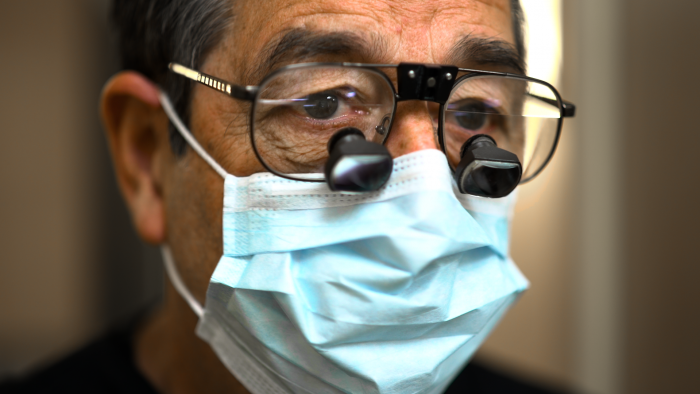 When he comes into the office every day, he has the opportunity to help people improve their smiles and improve their health. He’s excited by the prospect of improving technology in the dental industry, particularly the use of lasers. He is undoubtedly the best source of dental knowledge in Beaverton. Don’t believe us? 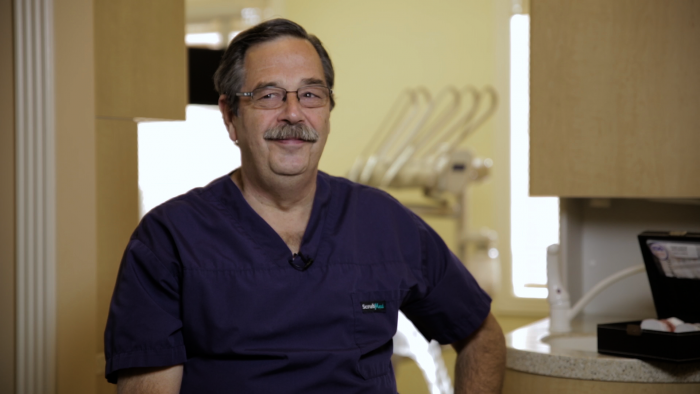 Dr. Rust has his own video series, “Ask Dr. Rust,” where he answers common questions and concerns in dentistry! From the affects of soda on our teeth, to why gums bleed when we floss sometimes, Dr. Rust offers his vast wealth of knowledge to answers all those questions we have but don’t know how to ask. Check them out on our YouTube page. To make an appointment with Dr. Rust, visit our Appointment Request Page and fill out the form.